We are currently hiring Software Developers to work within a front office environment on the forefront of e-trading technology, with business exposure across equities, fixed income, and FX markets. Candidates should have object oriented programming experience and be expected to work within Java development. Responsibilities will include enhancements, design and development of trading, execution and pricing systems. 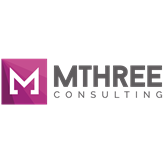 Mthree Associates will be expected to play a key contribution to the department success and will have the opportunity to develop their skills significantly whilst gaining experience and training within a dynamic global development environment. Since 2010, we’ve helped organizations deliver key technology projects with expert consultancy across risk and compliance, application support, software development, vendor products and cyber and information security. Alumni is our two-year non-rotational graduate program that helps talented graduates turn their degrees into careers. We provide all the training, career coaching and support you need to thrive in a challenging development role at a global bank or world-leading organization, working with you to decide the right career path for your skills and ambitions. The MThree Alumni Graduate Program doesn't simply help you find a graduate role – we set the foundations for a rewarding, lasting career in technology. After you complete the two-year program, you have the option to convert to a permanent employee with our client, or progress with MThree as an Alumni Pro Consultant. Software Development in Financial Services involves using the team’s technology of choice to design and develop complex applications in a dynamic global team environment. Most commonly using Java, C++ and C#; Software Developers work with stakeholders across the business to create, test and improve applications which play a fundamental role in the bank’s daily operations. They are involved throughout the Software Development lifecycle, from design and testing to support and maintenance while following an Agile methodology to constantly strive for better results. You’ll be part of a supportive team environment, with everyone offering a fresh pair of eyes to help identify any issues with code. "MThree has afforded me the opportunity to work on a lively Wall Street trading floor between development and business teams. I have been able to enhance both my technical and financial knowledge whilst collaborating with amazing people, in both the development and front office areas." Want to get notified about new jobs at MThree Consulting?